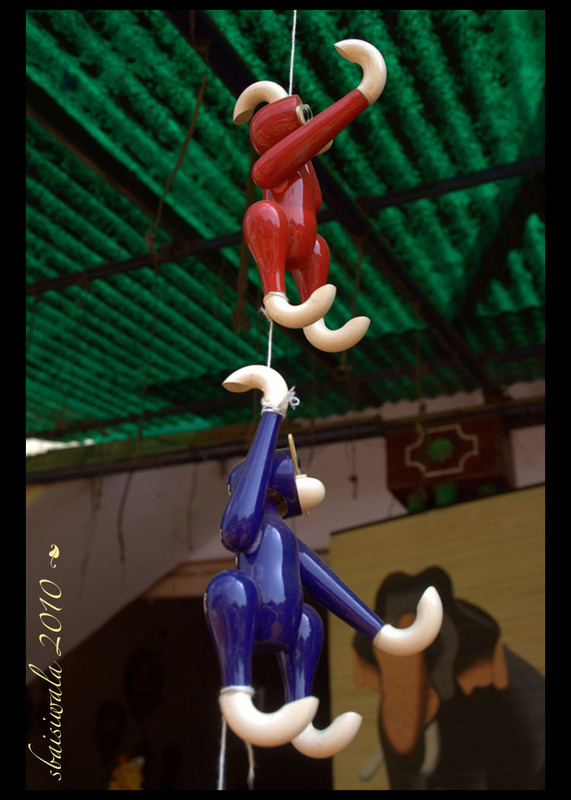 ChanaPatna – Land of Toys – this place excels in making wooden toys, which are on display on almost every shop on the main road. We ended up picking a wooden model of a motor cycle and a bullock cart. 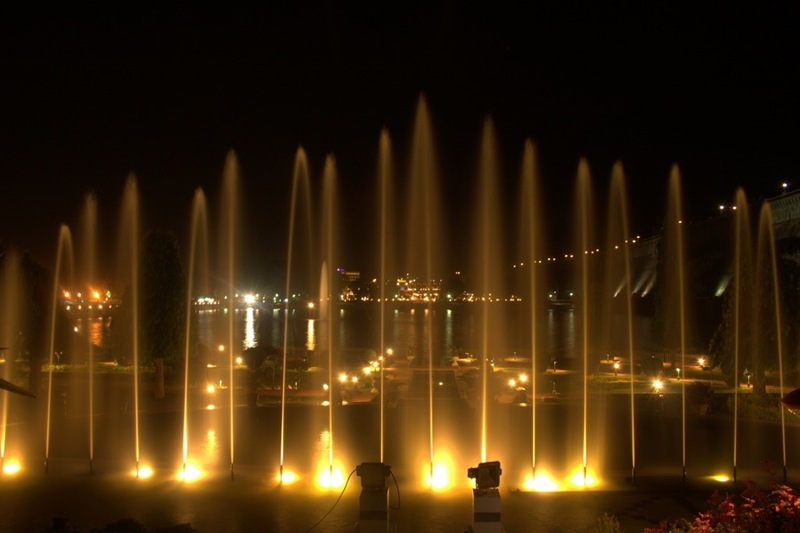 Our main stops in Mysore were the Brindavan gardens at night and the Mysore palace by the day. We were disappointed with the gardens as we reached just in time to see the coloured lights being switched off. But the Mysore Palace more than made up for any disappointment thereon. 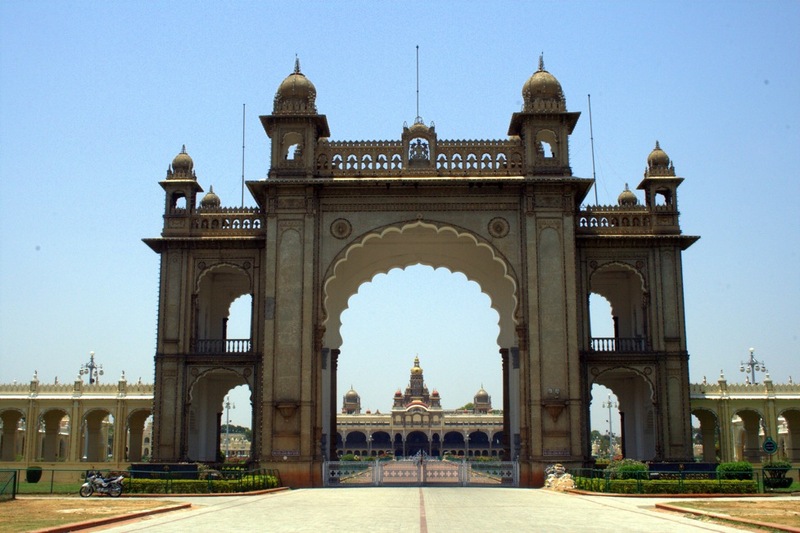 The Mysore palace is situated in the heart of the city, near the bus stand. This palace was rebuilt by the then king KN Wodeyar who commissioned British architect Henry Irwin to do so. The architect rebuilt it in the Indo-Saracenic style, combining the Hindu, Muslim , Rajput and Gothic elements into it. One can see these reflected in the various architectural elements integrated in the design of the building. The main entrance (Jayamartanada )of the palace is a gorgeous structure; elegant in style, architecture and proportion. This gate is opened only during the Dusshera festivities or any such other occasions when the royal descendants use it. The visitor entry gate is the southern gate – Varaha gate; we got lost trying to find it since none of the directional boards mentioned any such information. We went from the main gate to the northern gate and from there to the southern gate from where we purchased 15/- per person tickets and proceeded in. We were then asked to deposit our cameras in a locker which you rent out for 5/- ; public is not allowed to take pictures inside the main palace. This was such a disappointment to all of us. Nevertheless, we ventured on, removed our shoes, underwent a security and x-ray screening and then entered the palace with a guide in tow; we hired him for 350/-. He turned out to be quite repetitive but witty. Its advisable to purchase a guide – book for a nominal fee; that’s equally useful and less intrusive. Our guide was forever taking us to a side as if to impart some valuable top secret information. We first saw 3-dimensional paintings; a first for all of us. These were quite interesting; the figures turned as you did too. Eerie too! These paintings depicted the Dussehera festivities as observed since the Kings ruled there. Then we came upon the most beautiful wedding hall ever – this was the Ceremonial hall or the wedding pavilion or the Kalyana Mantapa. Its octagonal shaped and has the most exquisitely carved and painted columns in turquoise blue, gold and hints of red. It has a stained glass domed ceiling with peacock motif, manufactured by Walter Macfarlane Saracen foundry in Glasgow. The flooring too has English mosaic tiles in a peacock pattern. Infact, all over the palace, the floors have been laid with such exquisite mosaic tiles, brought over from England and in some places semi=precious gems have been worked into the panels. No wonder they made us take our shoes off to limit the wear and tear; also to keep it clean. The opulence of the wedding hall is repeated in the Durbar halls – public and private. The beautifully carved and painted columns echo in symmetry with graceful arches. Semi-precious stones inlay work; beautifully carved Burma teak ceiling, sculptures and paintings – all enhance the beauty of this palace. The Diwan- e- aam or the public durbar hall has huge panels of paintings of ten incarnations of Lord Vishnu, which are further interspersed with huge chandeliers. The columns here are gold and green and tower magnificently, visually leading to the main gate – the view from here is superb. The Diwan-e- khas or the private durbar hall was magnificent in splendour and colours. The sheer opulence and workmanship in this palace took our breathe away. Our guide informed us that the palace has been used as a backdrop in a couple of movies and in the famous TV serial – the sword of Tipu Sultan. 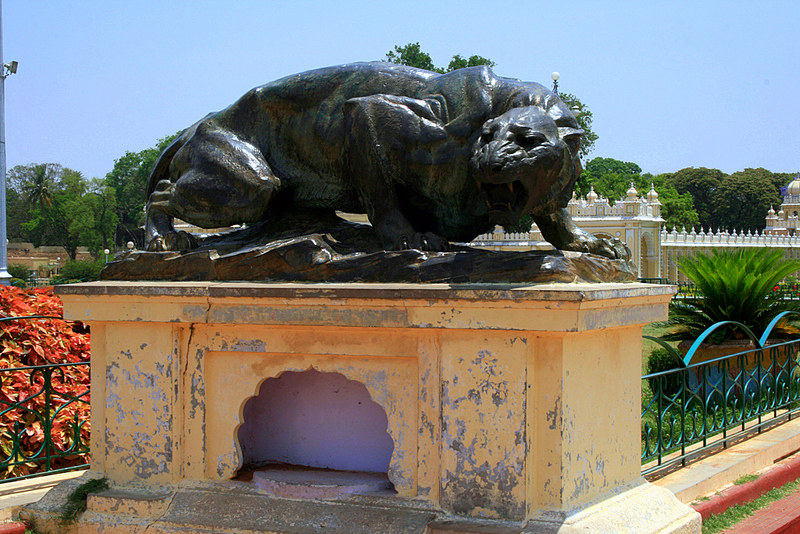 The palace has several other noteworthy things to see; complete doors made out in silver which has designs worked in on them, life size statue of Krishnaraja Wodeyar IV, a grandfather’s clock in working condition, beautiful portraits by Raviverma, and some gorgeous bronze leopard statues. We did visit the other part of the museum as well but that failed to do any justice to the royal heritage. There are beautiful temples at the northern and southern gates of the palace – due to the heat, we skipped these. 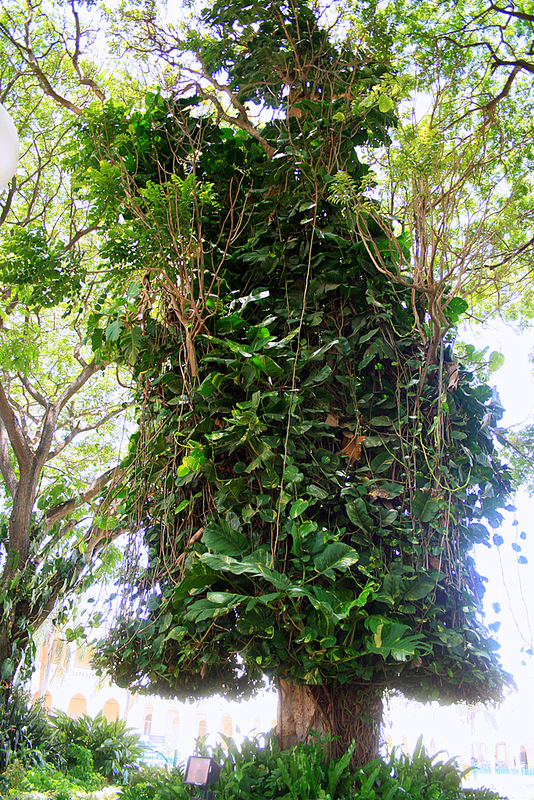 The palace has some well – tended and landscaped green areas; one tree was so covered with the money plant creeper that it looked like a money plant tree. On weekends and other holidays, the palace is lit up in the evening for an hour; an estimated 96,000 light bulbs are used to light up this glorious piece of history. I hope to go back there one evening to capture this glory in my camera. 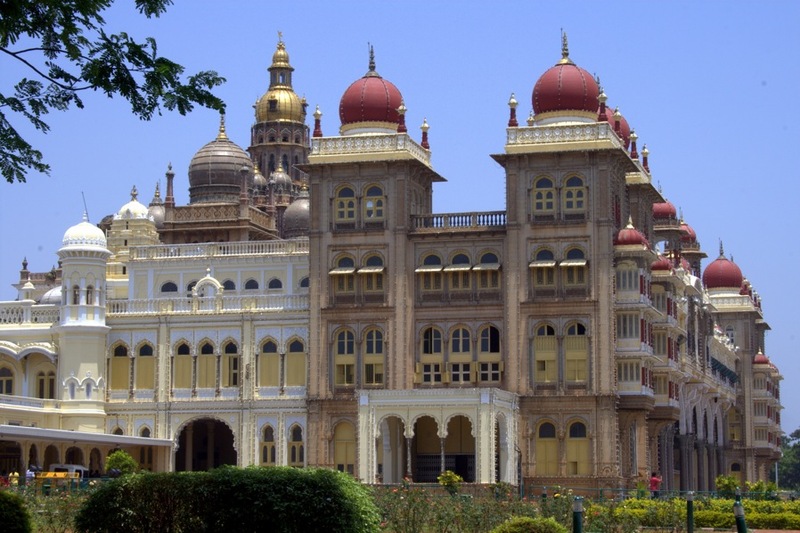 If visiting Mysore, then this palace is a must-see for all. What a wonderful article, Mysore Palace looks like a beautiful place to visit. 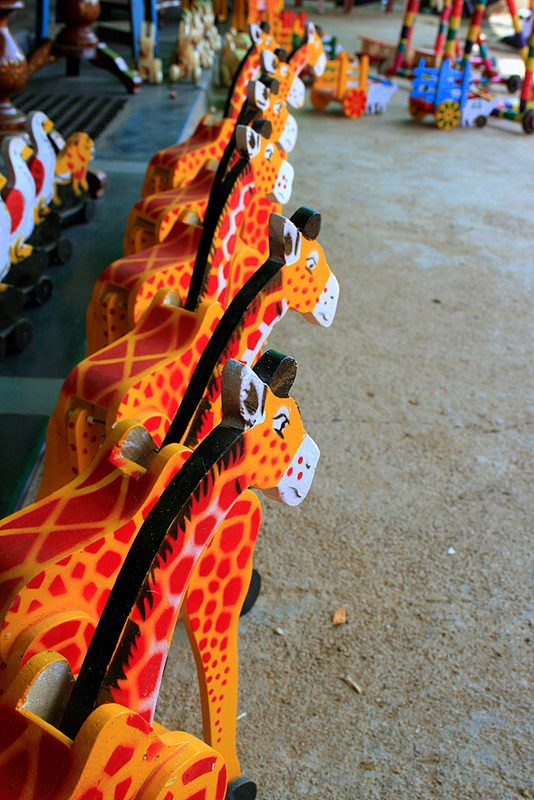 I didn’t realise that ChanaPatna – Land of Toys made such great looking Wooden Toys. I have never seen such a lovely quality finish. This place really does excel in making wooden toys, and I bet it looked amazing to see a whole road of wooden toy shops. thank you for kind words of appreciation. 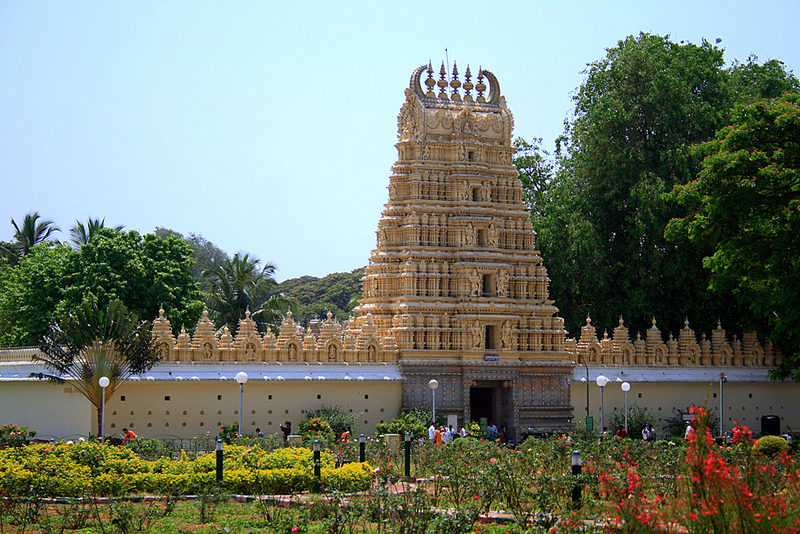 You must definately take the time out to visit this place if ever in Bangalore – Mysore. Nice post on Mysore palace. 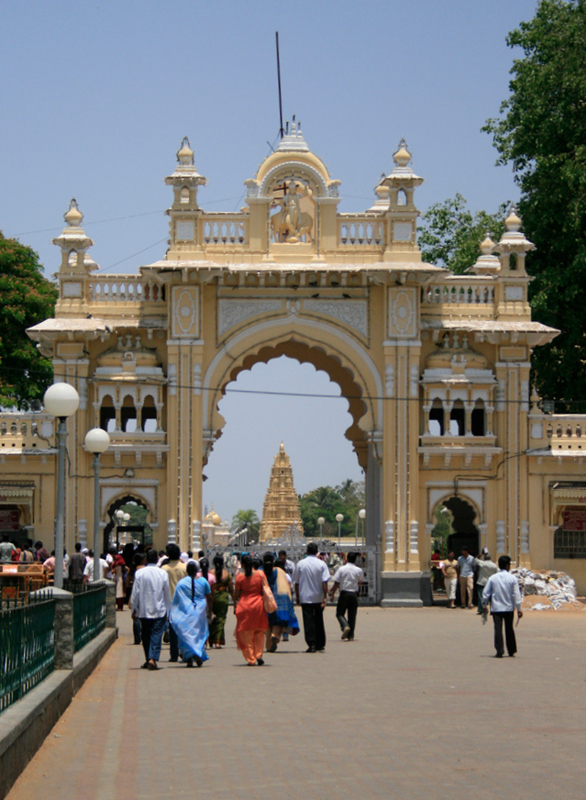 It is the most grand and historically significant destination among the many places to visit in Mysore. People visit Mysore to acknowledge the beautiful palace. Check the Mysore Palace timings here.